It was just a routine flight. Well, not exactly routine…. It was a special Japan Air Lines 747 cargo flight to carry a load of French wine from Paris to Tokyo. The flight plan would carry flight 1628 from Paris to Reykjavik, Iceland, across the North Atlantic and Greenland, then across Canada to Anchorage, Alaska, and finally across the Pacific to Tokyo. The crew consisted of veteran Captain Kenju Terauchi, co-pilot Takanori Tamefuji, and flight engineer Yoshio Tsukuba. Terauchi said that it was his impression that the two objects he had seen below them minutes before had suddenly jumped in from of him. The craft, one above the other, kept pace with the 747 for several minutes, moving in unison with an odd rocking motion. After about seven minutes, they changed to a side-by-side arrangement. Terauchi said that the “amber and whitish” lights were like flames coming out of multiple rocket exhaust ports arranged in two rectangular rows on the craft. He felt that they fired in a particular sequence to stabilize the craft, much like the small maneuvering thrusters on the Space Shuttle. He also reported seeing sparks like a fire when using gasoline or carbon fuel. Co-pilot Tamefuji described the lights as “Christmas assorted” lights with a “salmon” color. He said: I remember red or orange, and white landing light, just like a landing light. And weak green, ah, blinking. He also described the lights as pulsating slowly. They became stronger, became weaker., became stronger, became weaker, different from strobe lights. The lights were “swinging” in unison as if there were “very good formation flight…close” of two aircraft side by side. He described the appearance of the lights as similar to seeing “night flight head-on traffic”, where it is only possible to see the lights on an approaching aircraft and “we can not see the total shape.” He said, I’m sure I saw something. It was clear enough to make me believe that there was an oncoming aircraft. Flight engineer Tsukuba, who sat behind the copilot, did not have as good a view of the lights. He first saw them “through the L1 window at the 11 o’clock position” and he saw “clusters of lights undulating”. These clusters were “made of two parts…shaped like windows of an airplane”. He emphasized that “the lights in front of us were different from town lights.” He described the colors as white or amber. At 5:25:45, after spending two minutes looking, the military radar at Elmendorf Regional Operational Control Center also picked up something. The ROCC radar controller reported back to the AARTCC that he was getting some “surge primary return.” By this he meant an occasional radar echo unaccompanied by a transponder signal. Just after the plane turned to the right, the AARTCC controller called the Fairbanks Approach Radar controller to find out whether or not the short-range radar had a target near the JAL. The approach radar reported no target other than JAL1628. The plane came out of the turn and flew toward Talkeetna at an altitude of 31,000 ft, with the object still following. At about 5:40 a United Airlines passenger jet took off from Anchorage and headed north to Fairbanks. The AARTCC controller decided to ask the UA pilot to try to see the object that was following the JAL flight. The UA pilot said he would look when he got closer. The controller asked the JAL flight to stay at 31,000 ft and the UA flight to stay at 29,000 ft. He then directed the UA flight to turn some more so that the planes would pass within five miles of one another. 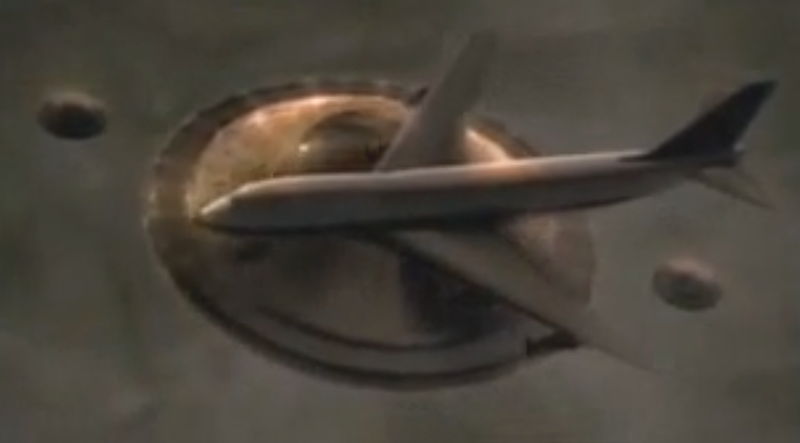 As the United Airlines jet got closer, the UFO apparently dropped behind, allowing the JAL plane to get far ahead. The United pilot asked the AARTCC to have the JAL pilot flash the headlights on the JAL aircraft so he could locate the plane. At 5:49:45 the JAL pilot did that. At this point the planes were about 25 miles apart. When the planes were about 12 miles apart, the UA plane reported seeing the JAL plane and nothing else. But by this time the UFO had apparently disappeared, not being seen by JAL1628, either. At about 5:51, the AARTCC requested that a military TOTEM flight in the area also fly toward the JAL plane for a look. During the next several minutes TOTEM viewed the JAL plane but couldn’t see any other traffic. JAL1628 proceeded to Anchorage and landed at 6:20 PM.